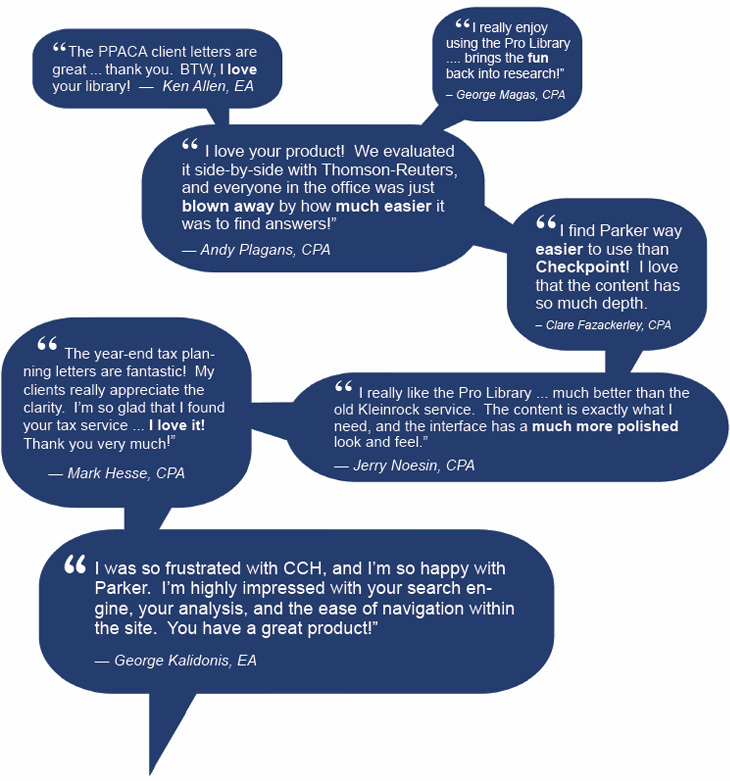 What Your Peers Are Saying about Parker Tax Pro Library's Tax Research Tools. ®2012- 2019 Parker Tax Publishing. Use of content subject to Website Terms and Conditions.